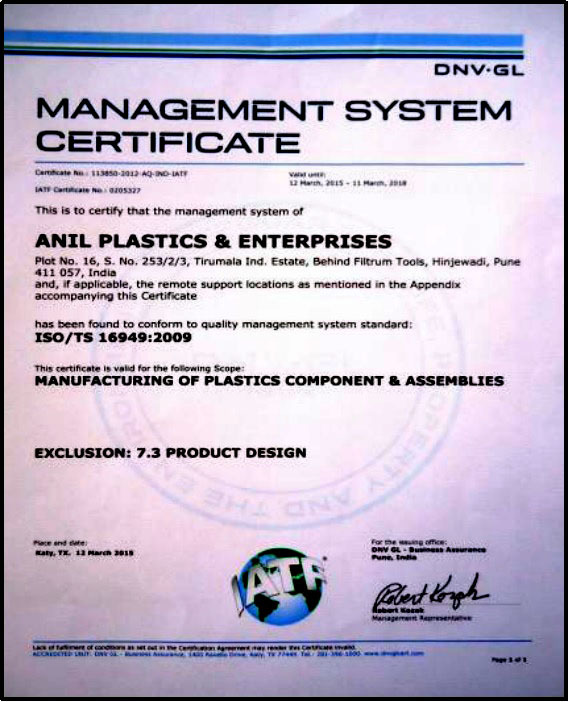 Anil Plastic, an ISO/TS 16949 : 2009 certified Engineering Plastic Processing industry was established in the year 1994 by the founder and present MD, Mr. Anil Naik. He had decided the path he would take when he was 17 and since then, has moved forward with confidence and commitment carving his own niche in the field.  It was a humble beginning as the journey began from a small shed at Warje, Pune with a team of two qualified persons who had a common dream, abundant energy, passion and a deep commitment to create a world class Plastic Manufacturing Facility. It has manifested into a state of art complex at Hinjewadi, Pune; but then, there are miles to go. Today, APE has emerged as a major manufacturer of injection-molding services with 450 different products and 75 varieties of clips. 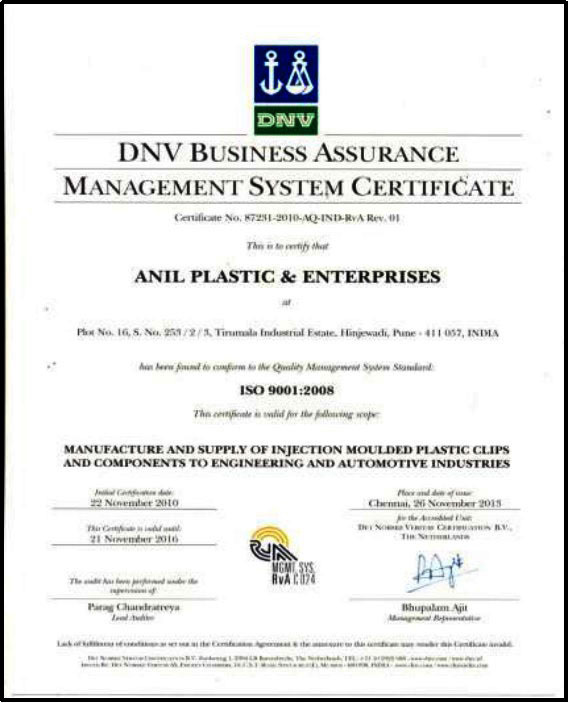 A target of Zero PPM rejection rate has been achieved year after year which has made APE a preferred supplier with some of the reputed customers in the country from Automobile, Electronics, Home Appliances, Agriculture and many other sectors. Due to its commitment to highest standards of Quality, APE has been able to retain all its customers right from the first orders. To become a global player in the field of Automotive/Electrical and Engineering plastic components. Also Leading manufacturing of Auto Clips and Plastic Fasteners. To always synchronize with new technology. To achieve INR 180 million sale turnover annually by 2015-2016. To consistently move up and find our own place in rationalization and globalization. 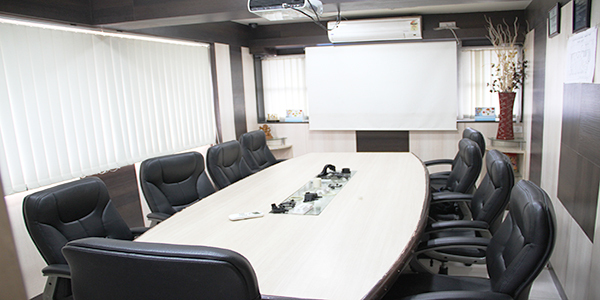 We are planning to expand our range of Machines,by procuring new machines with advance new technology. To achieve INR 500 Million turn over in the next five years. 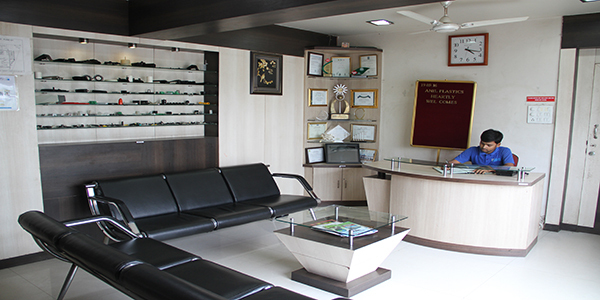 We have also kept a Land reserved of 20000 sq. ft.area near Shirwal for in future increase in business.